Pond Building Series® - Angelo Décor International Inc. The benefits of a backyard pond are endless; from the sheer beauty and soothing sense of relaxation they bring, to the environmental practicality, backyard water features offer boundless rewards. For years, the installation and maintenance was thought to be time consuming, costly and confusing. The Pond Building Series® line of pond products were developed to modernise this process; perfect for beginners, backyard enthusiasts and experts alike. A simplified à la carte approach to pond building, with industry leading energy efficiency, diverse compatibility and rugged reliability. Starting with the basics, a durable membrane and flexible tubing are necessary to retain and circulate the water. 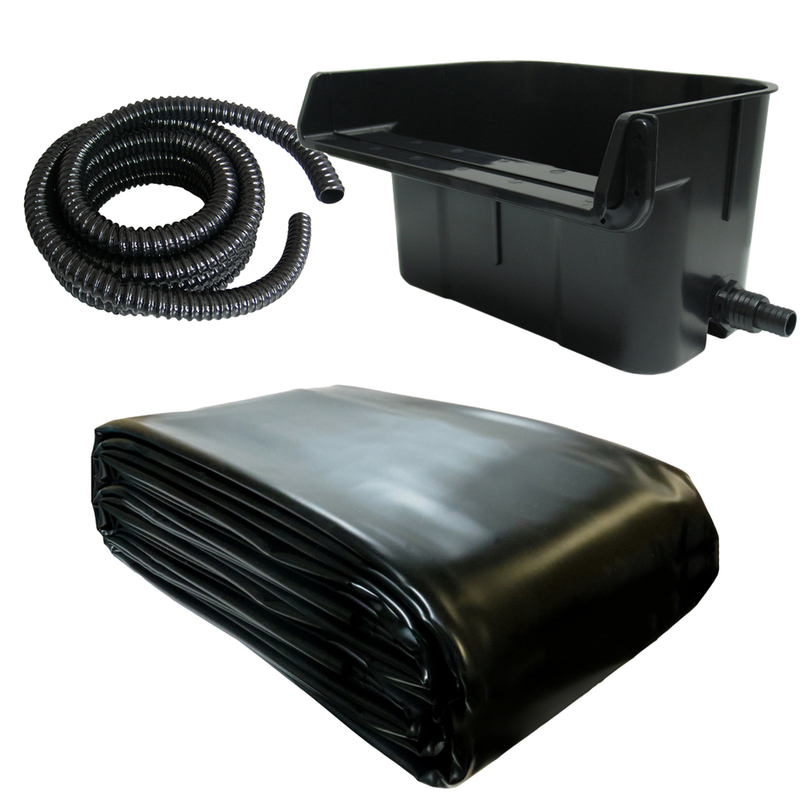 The Pond Building Series® assortment includes PVC and extra thick PRO PVC liners, as well as preformed rigid plastic containment options. Durable performed spillways and weirs are weather resistant and include all necessary connections, making it easy to add a focal point in the pond. Flexible non-kink tubing is available in a variety of sizes for easy connection to pumps, filters and other water features. 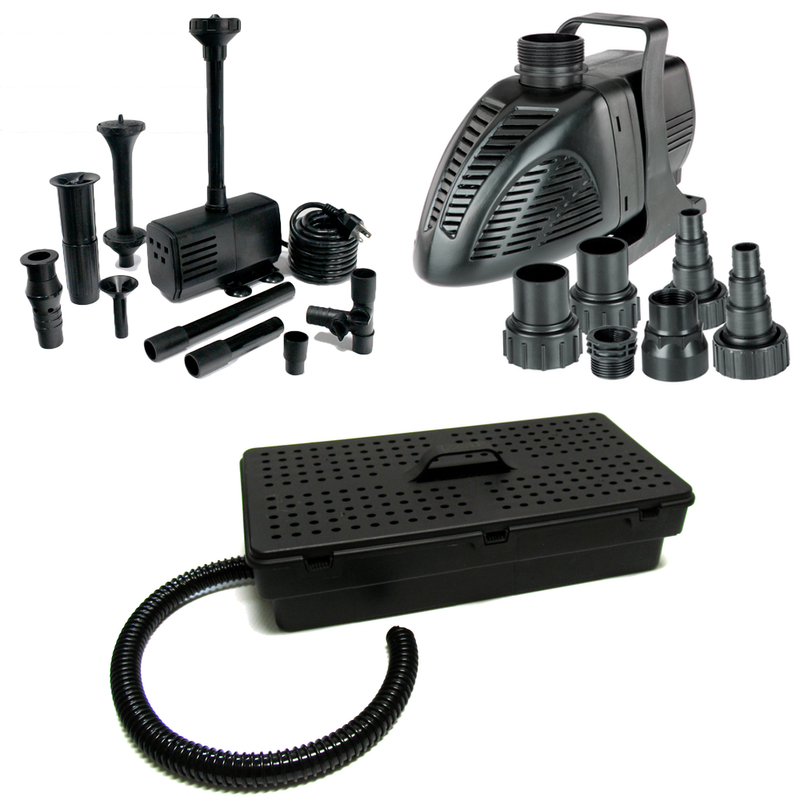 many, including all-in-one pump kits, or more robust pond and waterfall pumps engineered with industry leading energy efficiency. Protect these pumps while maintaining water quality with our fully compatible filtration offering. Every pond is unique and bound only by the limitations of your imagination. Customize and complete your project with easy add-ons; accent lighting is simple to install and an easy way to enhance evening ambience while water features add a functional and decorative flair. For a clean and healthy pond, plant baskets provide a safe growing environment for water plants while all-in-one water clarifiers make pond maintenance a breeze. Whether you have an afternoon and a limited budget or all weekend and a larger ongoing vision, the Pond Building Series® program provides all the tools necessary to create a relaxing sanctuary in your yard or garden. For more on the joys of pond building and for a step-by-step guide through the planning, creation and general maintenance, be sure to read our Guide to Ponds.